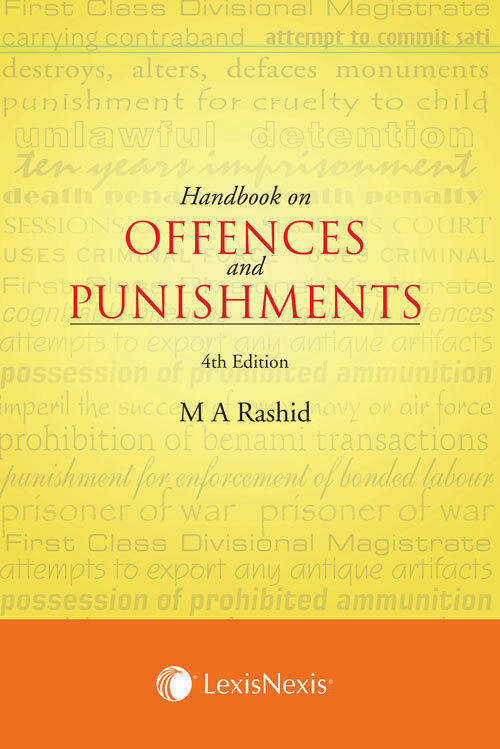 Handbook on Offences and Punishments is a unique work that makes available all the important details relating to offences defined in over 2000 penal provisions from over 100 Central Acts in a ready reckoner form. Designed as a practical solution, the book provides in a tabular format all important details such as the name of the offence, the Act under which it is covered, the punishment provided for the offence and persons who have the right to file complaints. It also clarifies whether the police officer can arrest with or without an arrest and whether the offence is bailable or non bailable as well as the name of the court which is empowered to try the offence. It saves the user of the responsibility of applying the various principles/tests provided in Part II of Schedule I of the Code of Criminal Procedure and of vetting each such statute to ascertain the relevant details of the offences.